Supermassive black holes, which are a million to 10 billion times the mass of the sun, lurk in the center of most galaxies, including our own Milky Way. How do we study these dark and mysterious objects in the universe? Dr. Suvi Gezari will describe how astronomers use wide-field optical telescopes to monitor the night sky and catch supermassive black holes that light up in the act of feeding on stars and gas. 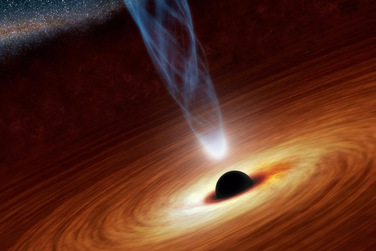 Watching how these “hungry” black holes digest their meals can reveal their mass, spin and binarity—the fundamental parameters of an astrophysical black hole. Dr. Gezari will highlight results from UMD’s participation in three state-of-the-art optical time-domain surveys: the Pan-STARRS1 survey, Palomar Transient Factory and Zwicky Transient Facility. Science On Tap is a new monthly lecture series that explores the latest discoveries in science and technology in a relaxed atmosphere with food and drink.